[nggallery id=31]When you walk on the promenade over the sea in Rapallo, what immediately comes to your eyes is the symbol of this small town, its old castle (castello). It stands there on the rocks surrounded by the sea as the guardian of the pictorial town of Rapallo. 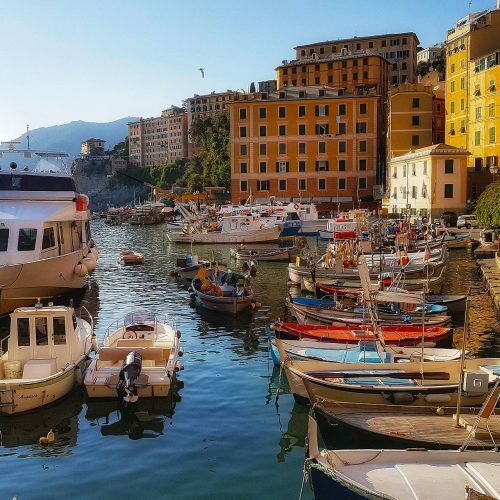 But, having a look back in the ligurian history, you’ll realize that this building was constructed just for this purpose, to defend the city from the numerous pirate invasions. Now-a-days, after a recently renovation, it is used for cultural and artistic exhibitions. The castle is located right on the town’s seafront and is built entirely of stone with walls that are over two metres thick. Early in July, the castle is theatre of a wonderful fireworks show. It is the highest point of festivity in honor of the Holy Virgin of Montallegro, whose shrine has been built on a hill bearing the same name and that can be reached by a funicular.